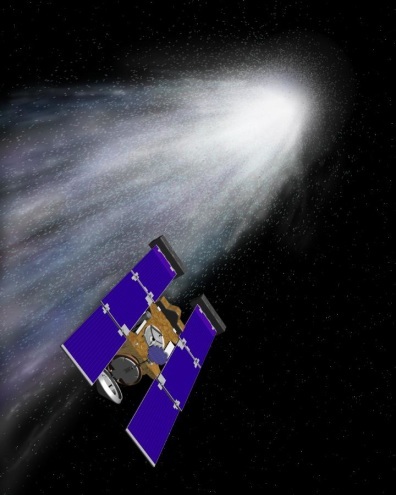 This is an artist's concept of the Stardust spacecraft beginning its flight through gas and dust around comet Wild 2. The white area represents the comet. The collection grid is the tennis-racket-shaped object extending out from the back of the spacecraft.